There is also calmness not only before but after the storm only that there is much to be done: rebuild bridges or homes, look for missing friends or family members, nurse the wounded and eventually bury the dead. For the government and rescue leaders that’s the time for damage assessment and evaluation of its disaster management performance: To what extent ist the damage to persons, crops and infrastructures? How did the rescue team perform according to its operating standards, in which area is it especially successful and in which did it miserably fail? These are routine questions asked after any disaster. The main thing however is to draw concrete lessons from the whole event and use them to improve the disaster management system- and put more money in it in terms of personnel training and acquisition of technical facilities and equipments. It is wise to invest in such things because typhoons and flooding will continue to be our number one natural calamities as opposed to earthquakes, volcanic eruptions or meteoric attacks. So why not consider this problem seriously and sincerely by now by creating an expert group that will study the general patterns of typhoons as they enter Bulan and how flooding generally develop by pinpointing flood „epicenters“ in Bulan. The main goal of this is to gather Bulan-specific data (histories of typhoons and floods, catch-basins, damages, etc…) that will guide any program related to typhoon and flood management. Scientific prediction is never based on an empty paper or entrails of chicken but on collection of data. Therefore, any disaster management not based on the locally-collected data is blind, incomplete, unsystematic and not optimized. This is more costly in the long run. Whereas prediction and estimates supported by science is effective and less-costly with time. Again, flooding reminds us of one important aspect which is adequate canal systems under the streets of Bulan and construction of pumphouses in key areas of Bulan. As I have seen we have no canal system that channels household and rain waters to a place outside the town or ideally to a sewerage plant. Functioning underground canals reduce the water level above in case of flood. The whole thing demands political will and people’s participation- and attitudinal change! A town official may take pride of his great income and luxurious life style only if such problems had been solved first and when he doesn’t have to leave his luxury house and flee uphill in times of flood. Otherwise, such a display of luxury and vanity is out of place and only attest to illegal practices which choke the town people and flood the town with unsolved problems. This being-out-of -place reminds me of Iglesia Ni Kristo church amidst the shanties, making the poor people appear dirtier and poorer against such a well-built and cleanly-maintained Gothic religious edifice. You’ll intuitively know why these poor people near such a church are ten-percent poorer than those who are far away from it. The good thing is that you can run away from such a religious mafia and settle somewhere else. In any case, we don’t want the town people to appear dirtier and poorer beside the municipal building or beside their municipal officers and their families. But when the government behaves like an Iglesia Ni Kristo establishment, then there is a grave problem for you cannot run away from it. People will be more than just ten-percent poorer, and if you live far from the town you maybe much more impoverished. However, be it the church or the government that’s making the people poor, the people must not only be self-reliant but must be politically conscious and active and must resist the corrosion of their collective values. There is, however, one stumbling block to the collective- and that is the problem of jealousy that looms in each Bulaneño. This may sound very ordinary but this is the crab mentality that we have been talking about which is very real not only in paper but in the daily life of Bulaneños. But we display such mentality (or emotion) rather discretely- and quietly in the true sense of the word. In short, we don’t talk about things over which we are jealous for some reasons. Not to talk about something is almost synonymous with not supporting that something. Exactly the same with things or topics that we hide or want to avoid. You would easily sense that somebody is hiding or avoiding something by the contortion of his face, the sudden jerking of the body to one side as if avoiding a Pacquiao left uppercut once you hit a hot issue- or one simply hides behind somebody as you pass by to prevent you from smelling the pungent odor of his or her dishonesty. Not many things escape your eyes when you come to observe things and people. But it’s funny to find out that those who are observing you are usually the people you come to observe. So be calm and let the eye of the storm go by. We have taken all these photos by ourselves on that sultry summer morning last April 2009. As I was sorting out the photos for this documentary article, I realized that I couldn’t provide myself the necessary informative captions for each photo. So I called up Mayor Helen De Castro and asked her if she could help provide the needed information. I caught her right in the middle of a meeting about H1N1 Virus (Swine Flu) but she was really kind enough to listen to my concerns and promised she would send Bulan Observer the materials. I also knew how busy her team was at this point because of the upcoming town Fiesta. So it took awhile, but we have patience for good things. The purpose of this little documentary is to give readers of Bulan Observer especially those who are away from home a visual tour of the Bulan Eco-Park so that they will have a concrete image of it. Interestingly enough, my own mental picture of the Eco-Park before my visit did not diverge far from the real picture of it – at least as far as I could roam around and shoot photos and videos of it. Lack of a guide and time prevented me from exploring the whole park for it is really big. A local Kiosk with young bystanders just passing the time, curios-looking eyes to passing strangers. Yet friendly and smiling faces. Turn left again to a long and winding – and rough road, naturally. Here’s the road in front of us, looking quite and deserted, windless day, indeed a calm before the storm. *Mao tabi ini an inkukuwaan ta baras na pangtahob ta sa mga basura saato dumpsite. Regular (weekly) tabi na in-uusong, hinuhulog san heavy equipment unit an basura sa bangin. Pakahulog tabi, tatahuban ini san baras (soil cover). Looking like a natural gate marking the border to another town. Coconut plantation, an almost magical ambiance, like an oil painting from afar, palm leaves silvery and shining. Here we are, the Welcome signboard. The certiicate of recognition to our Mayor De Castro for excellence in environmental governance on Solid waste Management. A symbol for natural harmony- at least the way I see it. *Mao tabi ini an demo garden para saurbanagriculture o container gardening. Laom tabi sini na maipaimod sa mga tawo na sa halip na itapok an mga old containers o butangan (plastic, empty milk cans, platic cups, sako, nan iba pa) sa basurahan, pwede pa tabi ini gamiton bilang plant pots para sa mga ornamentals nan gulay). Intended/designed tabi ini lalo na sa mga urban areas o poblacion areas kun haen limitado o wara na tabi lugar para pagtanuman. A cow discretely resting beside a bahay kubo, seems to be observing us. *Mao tabi ini an istruktura kun haen tabi naka locate an Materials Recovery Facility. Pagsakat tabi sin trak para magtapok basura, didi muna tabi ihuhulog an mga basura na puede pa pakinabangan nan ipabakal. 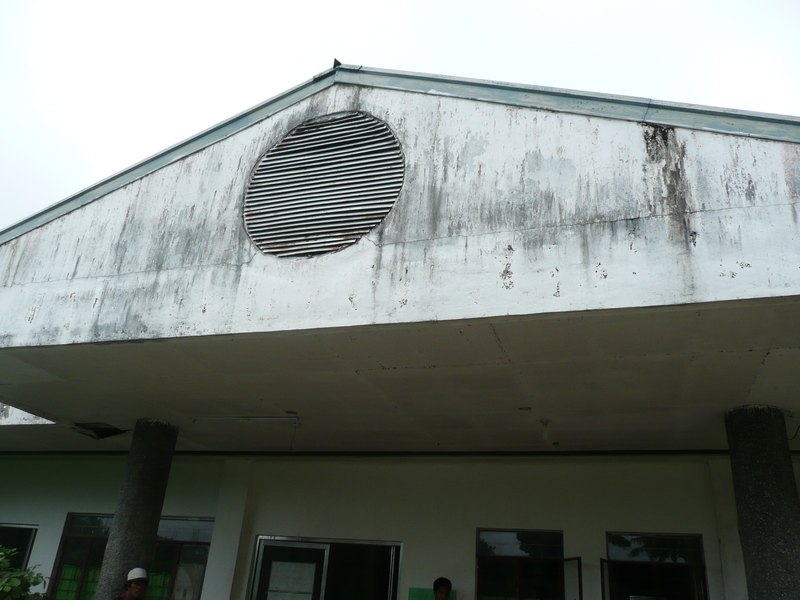 Ini tabi na istruktura, hinati sa tolo na kuwarto (Lecture Room, Materials Recovery Facility, Ecology Center). *Lecture Room. Didi tabi inhihimo an briefing o orientation sa mga bisita (LGU, estudyante, empleyado, o grupo na interesado maaraman an programa san Municipio sa Solid Waste Management) sa Ecopark. Didi man tabi inhihimo an demo san paghimo san mga manalaen-laen na activators para sa composting. *Mao tabi ini an section para sa Materials Recovery Facility. *Mao man tabi ini an section para sa Ecology Center. Showcase room tabi ini para sa mga recycled products, information, nan mga pictures/documentation san programa sa Solid Waste Management. *An nasa left side tabi na structure, sayo po sa mga rest areas o cottages sa Ecopark. An sa right side tabi, mao an vermiculture nan vermicomposting facility. Sa sulod man tabi sini nafacility an shredding area kun haen naka takod po an shredder. An vermiculture nan vermicomposting facility tabi, sayo na proseso san composting kun haen an ginagamit tabi ulod. Sa Ecopark tabi, an species tabi na may-on, mao an African nightcrawler. Pinapakaon tabi ini na mga ulod sin shredded na mga nabubulok na basura (market waste, grass clippings, etc. ), an manure tabi nira, mao an produkto san composting. Mao man tabi ini an ginagahoy na vermicompost na pwede gamiton bilang soil conditioner o fertilizer sa mga tinanom. 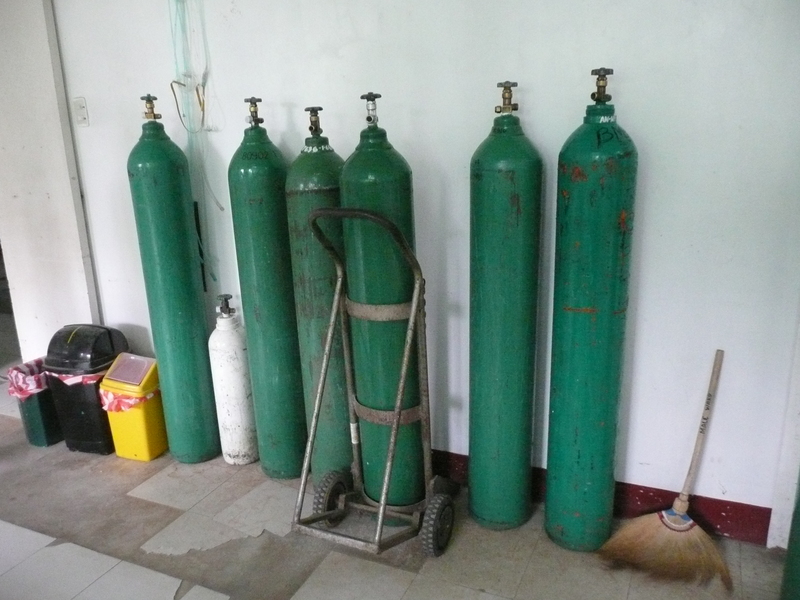 An kulay blue tabi, mao an sayo sa duwa na tanke tabi san tubi sa Ecopark na ginagamit pangsaribo sa mga tinanom nan sa operation san MRFnan composting facilities. An kahiwasan tabi na nasa letrato, mao an inkokonduktaran san mga programa sa Ecopark pareho san Fiesta sa Kabubudlan (film showing, games, concert, disco, nan iba pa). *Mga nakasako tabi ini na mga nabubulok na basura (balat nan iba pa na parte san prutas nan gulay, dahon, buto, nan iba pa) na hale sa Public Market. Ini tabi kukuwaon san in-charge sa composting facility para darahon sa shredding area para gilingon, paaguihon sa 2 weeks na anaerobic decomposition saka ipapakaon sa mga ulod. Maiimod tabi sa upper left side san letrato an shredder. Sa upper right side naman tabi, an mga composting beds o vermi beds. *Mao tabi ini an mga tanom na puno san gmelina (about 2 years old). Sa likod tabi ini san vermiculture nan vermicomposting facility. May-on man tabi didi sin hukay (0.75m x 0.75m x 0.50m) na pag nag-uuran, nabubutangan tubi. Ini tabi nakukuwaan man tubi pangsaribo sa mga tinanom nan compost piles sa likod..
*Mao tabi ini an vermiculture nan vermicomposting beds. Kapag an shredded na basura tabi na binutang sa bed, halos puro manure na tabi san ulod, ibubutang na tabi ini na mga sako na may laman na fresh (although nag-agui na tabi ini sa 2-week na anaerobic decomposition process) na pagkaon para sa mga ulod. Mao tabi ini an paagui para makuwa an mga ulod nan mabalyo sa iba naman na beds. Ini tabi na mga manure na, hahayaan mun-a tabi for 1 month sa lugar para maka-recover pa sin mga baby worms sa bed. After 1 month, pwede na tabi ini sakuhon nan i-stock sa bodega. *Mao tabi inian shredding machine na ginagamit sa shredding process. Sini-shred tabi an mga basura para mas madali malupa nan makaon san mga ulod. *An inkukuwaan tabi letrato san photographer mao tabian tree planting site san naka-agui na Fiesta sa Kabubudlan 2008. Sa left side tabi sini na lugar, mao man an campsite. *Mao tabi ini an close up picture san demo garden para saurbanagriculture o container gardening. An bubong tabi sini mao an pakanapan para sa ampalaya, karabasa, nan iba pa na nagkakanap na tinanom. Maiimod tabi an mga lata, sako nan plastic cups. *Sa sulod tabi ini san urban agriculture demo garden. Talong tabi ini na nasa sako. Pina-paimod lang tabi na an mga sako san semento, pwede man gamiton na patubuan san gulay/tinanom. *Sa sulod man tabi ini san urban agriculture demo garden. Mga kamatis tabi ini na nasa sako man san semento. An kawayan tabi sa taas san tinanom, mao an pakanapan. *Sa sulod man tabi ini san urban agriculture demo garden. Manlaen-laen tabi na gulay an nakatanom didi sa mga sako. *Tanuman man tabi ini na kawayan. Naka-design lang tabi siya na A-Frame. An mga irog tabi sini, pwede ibutang sa mga roof top san balay. *Signage tabi ini san Opisina. *Mao tabi ini an Ecopark Office. Nagsisirbi man tabi ini stock room san Ecopark. *Signage tabi pakadto sa Campsite. Kaupod tabi sa letrato an mga Acacia mangium trees (about 1 ½ years old). *Pathway pakadto tabi sa rest areas o cottages. Maiimod man tabi an mga puno san Gmelina arborea nan Acacia mangium sa palibot. *Sayo sa mga rest areas/cottages. Kada rest area tabi, may signboard manungod sa solid waste management / waste segregation to inform the park goers about the policy of the LGU. *An sayo pa tabi sa duwa na tanke san tubi sa Ecopark. Naka-locate man tabi ini harane sa bungad san Ecopark. Inbubutangan man tabi ini tubi para pangsaribo man sa mga tinanom na nakatanom sa parte na ini san Ecopark. Driving back after a relaxing time inside the park. A good segment of the road, smooth driving. This time a quintet of Calomagon boys. I’m very happy to see them as they look very natural, uncontaminated and safe from the dangers of too much civilization. Towards the end of our journey before the exit to the town, a nipa hut surrounded by flowering birds of paradise! They would cost a fortune in Europe. If you would see the Eco-park as it is, it is surely a big accomplishment for our local government knowing that it is also a place where environmental agendas are being held every year. I would be very glad to see the Feast Of the Mountains, or to attend a lecture or workshop on solid waste management or global warming. How about a Music Festival- or a Jazz Festival? My own fantasy, as I walked on the ground of Bulan Eco-park with my mind filled with ideas on how it could be improved with time as Bulan progresses. I would have wished it was a guided tour when I was there so that I could ask questions about things that were not clear for me. Maybe next time I would have this privilege. One thing that would make you happy are the young trees planted all over the Campsite and the well-kept paths. I wanted to know the names of the trees so I suggest that they’d be written in their local and scientific names. Included would be short information about each specific tree like distribution, importance to Bulan ecology, status ( endangered or not yet), etc. Tinanom tabi ini na species maski aram ta na exotic tabi ini sa dahilan na ini tabi, fast growing kaya sa panahon tabi na nagbabatog pa lang an pag-develop san Ecopark, kaipuhan tabi shade. Although exotic tabi, widely distributed naman na tabi siya sa Pilipinas for how many years. None yet, pero may plano na. Sa niyan, an ginagamit lang tabi na area para sa mga activities, an kahiwasan san lugar na kahampang san vermiculture nan vermicomposting facility. Nagbubutang tabi stage nan big tents kun may mga lecture, demonstrations, programs, etc. Dire tabi kami nagbubutang san basurahan sa mga rest areas o cottages dahilan sa ini-encourage namo na paghale san mga park goers sa cottages, dara tabi nira an basura nira para ibutang sa garbage receptacles na naka-locate sa gilid san tinampo. Dire lang tabi siguro nakuwaan letrato an mga toilet rooms. May 3 sets (one cubicle for men, one cubicle for women) tabi na toilet strategically located tabi sa Ecopark. Pa-triangle tabi an location san mga toilet since masyadong malaki ang lugar. An sayo sa may campsite banda, an sayo sa may durho na cottage, an sayo sa may centro san Ecopark. The “Bulaneño Ako, Basura Ko, Sini-segregate Ko!” Program is one of the priority thrusts of the Local Government Unit of Bulan. It was first conceptualized in 2004, launched in 2005 and strictly implemented in 2008. The program encompasses the whole solid waste management program of the LGUandwas designed for: a.) sanitation and environmental protection, b.) sound solid waste management systems, c.) provision and enhancement of livelihood opportunities through intensive resource recovery and recycling, and d.) minimization of public expenditures. Prior to the program implementation, there were clear violations of RA 9003 which were really detrimental to the environment and lives of the people. Rampant burning of solid wastes in the household and in the municipal dumpsitewas prevalent. Throwing garbage at the different waterways seemed to be a normal scenario. Moreover, dumping of unsegregated wastes at the municipal dumpsite posed hazards not only to the environment but also to more than thirty (30) scavengers in the dumpsite seekingfor possible resources. Although Republic Act 9003 mandating all LGUstoimplement waste segregation and close all the existing open dumpsites was passed into law in 2001, implementation was difficult to materialize. In 2004, the call for the execution of the mandates of the Act was very intense. It is the time when incumbent Mayor Helen C. De Castro decided to include Solid Waste Management (SWM) as one of her priority thrusts. To immediately act and address the existingsituation, Mayor De Castro formed a Technical Working Group (TWG). A plan of action was made and a series of multi-sectoral meetings, orientations and seminars for LGU key implementers and other stakeholders followed. On June 30, 2005, the “Bulaneño Ako, Basura Ko, Sini-segregate Ko!” Program was officially launched. A month after, Mayor De Castro spearheaded the launching also of the Bulan Ecopark, with an aim of transformingthe existing open dumpsiteinto an ecological park. However, the first implementation of the program had not been successful. The problems were eventually traced to lack of regular monitoring and evaluation coupled with some operational deficiencies on the part of the LGU. Mayor De Castro realized the problem and tried to address it. 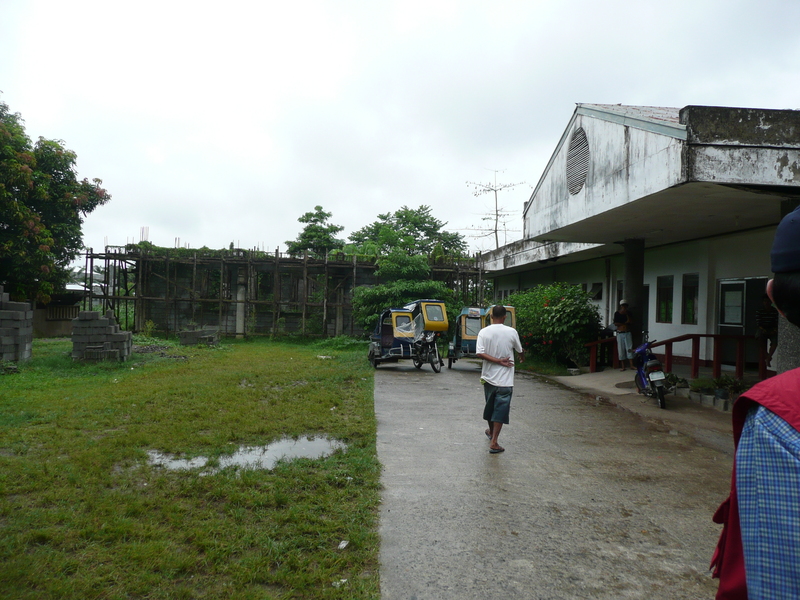 On November 2005, the Municipality of Bulan was enrolled to the DILGGO-FAR Project. In 2006, Mayor De Castro along with four (4) members of the TWG went to Linamon, Lanao Del Norte to attend the Replication Inception Workshop (RIW) on SWM. The good practices to be replicated then were the operation of Materials Recovery Facility (MRF) and the preparation of two (2) compost activators. On the same year, Mayor De Castro spearheaded the replication process. 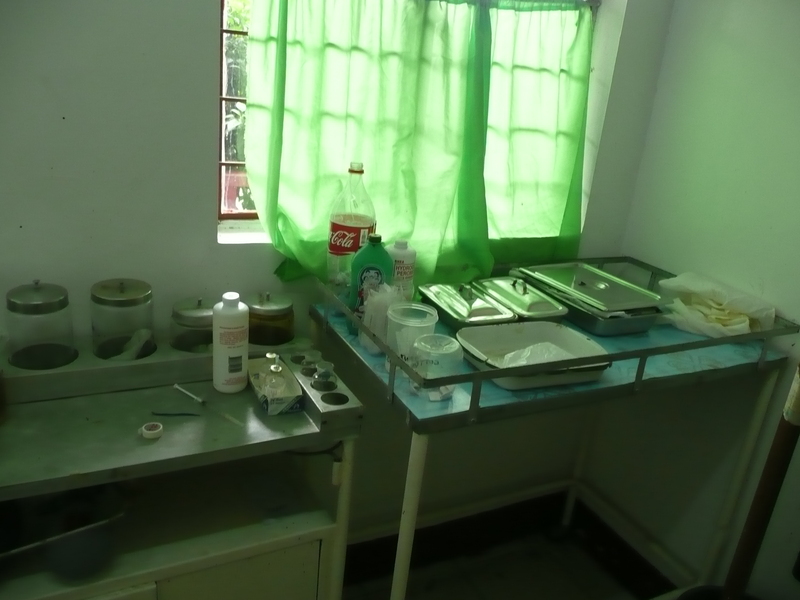 Relevant facilities were established and more intensive IECs on RA 9003 and Municipal Ordinance on SWMwerere-packaged. Finally, on March 24, 2008, the program was strictly enforced givingemphasis on the following; a.) strict implementation of waste segregation-at-source, b.) collection of segregated wastes-at-source, c.) application of waste treatment (4Rs) / alternative technologies, d.) implementation of segregated waste disposal system, and e.) conversion of waste disposal facility into an Ecological Park. With the efforts of the LGU and the massive participation of the community, the program earned various awards and recognitions both from the local and national levels. In 2007, the municipality was an awardee of the prestigious DENR Saringaya Awards, LGU Category for excellence in Local Governance and Environmental Protection on the field of SWM. In 2008, the DILG through its Secretary, Hon. Ronaldo Puno declared the Municipality of Bulan as Model Town on SWM. In view of being a Model Town, Bulan was expected to host RIWsfor interested replicating LGUs all throughout the country. At present, four (4) LGUsfromfour (4) provinces and two (2) schools including the U.P. Diliman – National College of Public Administration and Governance (UP-NCPAG) have already visited Bulan for its SWM Program. In 2008 also, Mayor De Castro reaped the Punong BayanAward of Excellence for championing the program. No less than the Vice President of the Republic of the Philippines, Hon. Noli De Castro and LMP National President Hon. Ramon Guicogavethe award at the Manila Hotel during the LMP General Assembly. At present, the program is workingand regular monitoringand evaluation is being observed. The Bulan Ecopark, a brainchild project of Mayor De Castro is continuously building a big space of hope in the big wide face of Mother Earth. Video Of BulanEco-Park coming soon. My name is Angelita de Guzman Kowalewsky and I have been a registered nurse for twenty five years. Three years ago, I went home to see my ailing mother confined in the local hospital. I brought with me precious medicines, antibiotics that were desperately needed. I went straight to the hospital from Ninoy Aquino International Airport which took fourteen hours by bus. I found my mother feeling better and getting ready to go home. While I was waiting for her, I had the chance to look around. I saw poor emaciated patients with sad look in their eyes, waiting for the family to bring back the much needed medicines from outside pharmacy. Apparently, the system in the hospital is for the physician to asses the condition of the patient, write prescription, and ask the family to buy the necessary medicine and medical supplies like IV tubing, IV fluids, etc. If the family has no money to buy the prescribed medicine and supplies, the patient will have to go home. I noticed some old gloves hanging by the window sill. The nurse told me that they had to wash the used gloves so that they can reuse it. I left the hospital with a heavy heart and feeling helpless. I wished I could do something to alleviate the suffering of those patients. I know in my heart that if they do not get the much needed medicine, they will die one by one. While I was at home, I noticed one of the carpenters looking very sad. My sister told me that the carpenter’s son, Aldo, and eighteen year old boy, was dying. He had an infected abscess at the right side of his back as big as a grapefruit. Apparently, out of desperation, the parents sold their only carabao (the animal which the family uses for plowing the field) and a pig to take their son to the provincial hospital. When the family could no longer afford the cost of the hospitalization and medicine, they brought him back home to die or wait for a miracle to happen. I asked the carpenter to take me to his house to see the boy. He was very emaciated and barely able to raise his hand to greet me. He was lying on a makeshift bamboo bed. He weighed between 85 to 90 lbs. I offered my help to the family. I told them that I brought with me the best antibiotics and medicines from America which my mother did not use. They brought Aldo to my house in a hammock. I called the local physician in town to help me. We started him an intravenous hydration, gave him antibiotics, multivitamins and nutritious food. After two days of treatment, Aldo was able to sit up and walk with the help of his mother. On the tenth day, he was well enough to go home. His abscess was completely healed except for a little hole where the pus material drained out. I gave him a three month supply of multivitamins. His parents were crying and very grateful. I told them to thank the Lord for I was just His instrument. My mother got well without using the medicines. Those medicines were actually intended for their son so that he may live. God had answered their prayer for a miracle. The story of Aldo spread around like a wildfire in the village. People various ailments started to come to my house. The cases ranged from simple headaches to urinary tract infection, influenza, to children with fever and cough. There was this young woman who came to me and was crying. She had been sick for several months. She appeared to have the classic symptoms of UTI. I called the physician whom I befriended when we treated Aldo. She was treated for UTI and instructed to come back after a week. When she returned, her eyes were bright and happy. She is clutching a chicken with her husband behind. She told me that for the first time in months she was not in pain. She had no money but she wanted to give me the chicken as payment. I told her that she didn’t have to give me anything. The fact that she felt better was good enough for me. Her husband was smiling in the background and I knew that chicken (a rooster) was his pet. These are a few of the examples why I want to build a clinic. It is for the people who need medical help. I promised the people in the village that I would come back and build them a clinic with free medicine and free consultation. I came back to the United States, worked hard, worked extra hours, saved money and prayed to God to help and guide me for the task that I was about to embark on was a tremendously great task. This charity clinic is dedicated to the people of Sta. Remedios Village especially those who cannot afford basic medical services so that the poorest man, woman and child can get the care they need. The clinic has a consultation room, a holding bed, 2 medicine cabinets, thermometer, and sphygmomanometer. It is a multipurpose clinic. It provides free medical check-ups, free medicine, milk for the children, nutritional supplements for the very old and malnourished, and education on sanitation, diabetes, environmental protection, ecology, and pregnancy and infant care. 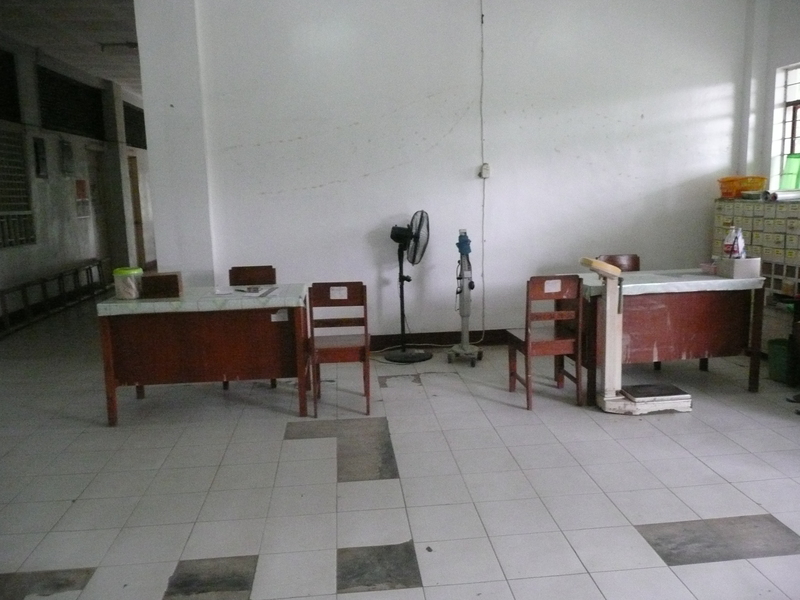 It also serves as a children’s library after clinic hours. The clinic is staffed by one physician and four helpers. Word spread that there is a clinic where poor people can avail of free medical check-up and treatment. 1. A man with a large cut on his leg- We did not have sutures so we had to send him to the provincial hospital which was a three-hour ride by tricycle. 2. A patient with pneumonia. 3. Several diabetic patients with problems of hypertension and hyperglycemia, renal failure, edema. 4. A five year old girl carried by her mother to the clinic (see picture in the brochure) She was severely malnourished and at risk of dying. 5. Several malnourished elderly patients suffering from abdominal pain (most probably from gastric ulcer) need nutritional supplements like Ensure plus, etc. We are now serving many villages, patients from as far as the Island of Masbate which is across the San Juanico Strait. Very sick people accompanied by their families are crossing the sea by motorized canoe to seek medical help. This is the situation. We are running out of medicine and medical supplies. I had been supporting this clinic for over four years now. I need your help desperately. Please help save one more life. Let us all get together and continue these humanitarian services. 1. 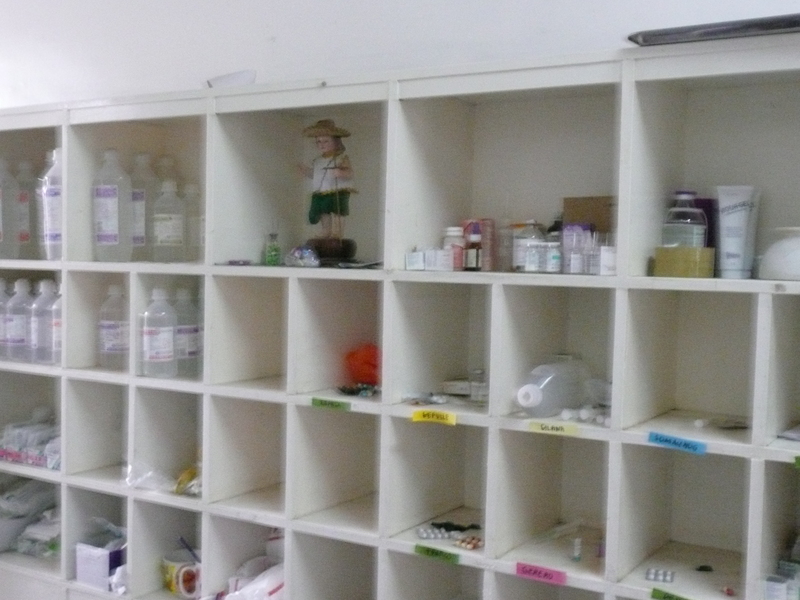 Over the counter medicines for cough, fever, pain, gastric ulcer, headache, hypertension, etc. We accept any medicine you can give. 2. Medicine samples: Don’t throw it away. We can use it. 4. Multivitamins for children/infant, prenatal vitamins for women, vitamin supplements for men, women. Vit.b-12, B-6, Iron supplement, Vit. C, etc. Thank you very much for any help you can give. Every donation you give counts. All donations are tax deductible. On this day we went to Sta. 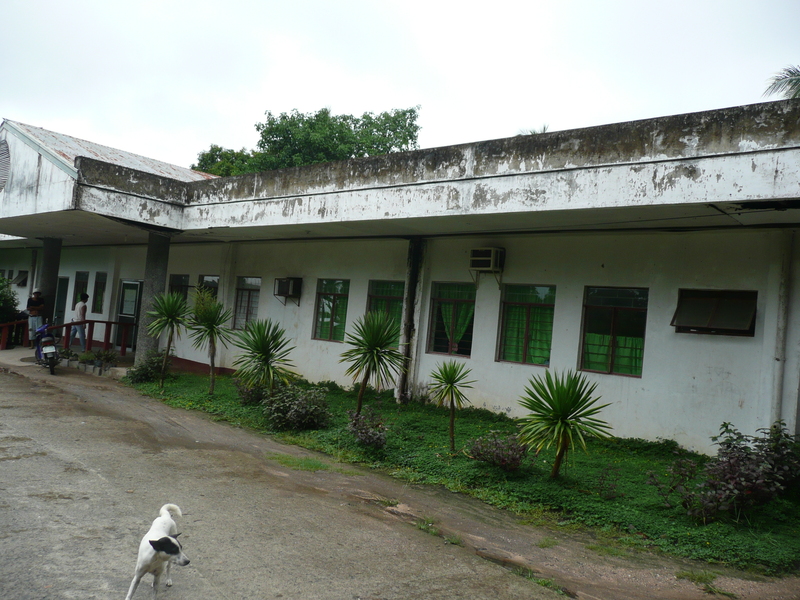 Remedios to visit the Clinic founded by Angelita de Guzman Kowalevsky. We have been wanting to see this Clinic for quite a time already and so we made use of this opportunity last month when we went home. But when we came it was off the clinic hours so we haven’t seen any patient and medical workers but we were greeted by Angelita’s niece who toured us around the clinic. The Clinic is small but it symbolizes something very big which is the love for one’s own people and the hope for brighter Bulan’s future. Love moves each of us to sacrifice ourselves to help improve the situation; in the case of Angelita she used her profession to give something back to her humble beginning. The hope lies in reaching out other people who would offer their help to the Sta. 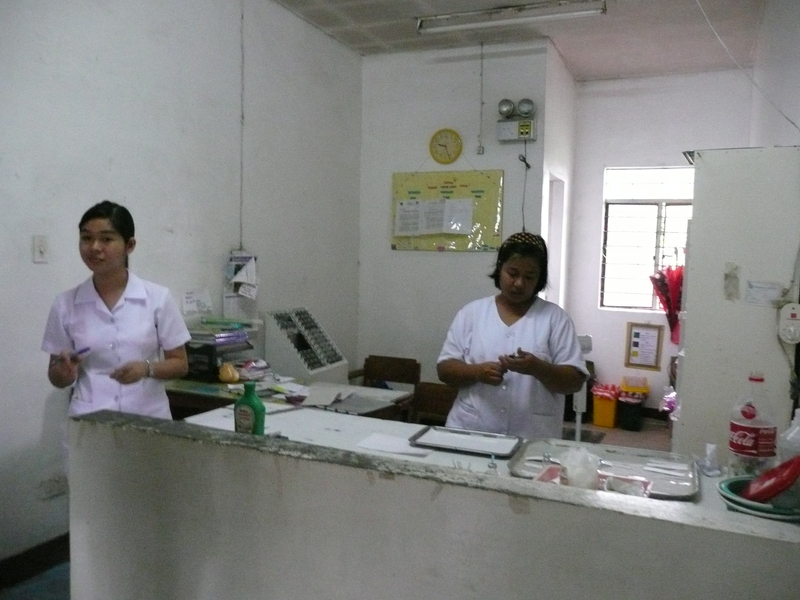 Remedios Charity Medical Clinic in any form- for any help counts, as Angelita says. For now Bulan Observer helps spread this hope to all its readers from many different places. May we indeed get some positive reactions from the people and other institutions who are in a better situation to help what has been started. We thank Angelita for her great efforts in realizing her vision to help. It is now for all of us to help her keep this vision alive. The Municipal Disaster Coordinating Council or MDCC and the Bulan Rescue Team deserve once again the highest respect for their selfless efforts and efficient performance in saving the lives of many Bulaneños and of coordinating the whole disaster management at the height of typhoon Dante last May 1 and 2. Under the leadership of Vice-mayor Gogola and the young and competent Municipal Administrator Luis De Castro, Jr., the dangerous risks to the lives of our town people had been maintained to the minimum. I’ve observed these men at work in a situation where I know would also have triggered the highest emergency alarm and stress even among most advanced cities in the world. Our men worked with the serenity of spirit, bravery and heroism of a real Bulaneño amidst the chaos in the whole of Bulan and the limited technical resources they have at their disposal. And I approached them and talked with them to know more about the disaster from their own perspective- with Vice-Mayor Gogola as he inspects the evacuees in Bulan South Central School and with Mr. Luis De Castro in the MDCC office which is housed in the old Municipal vicinity as he instructs the men of the rescue Team. Mr. Luis De Castro has retained this attitude of thankfulness in the midst of a disaster for the very little effort our Canipaan Team has done to the very first wave of evacuees that occupied the Bulan North Central School in the early hours of May2. I sensed also a deep sincerity in him when he told me ” sana walang maging casualty” (we pray that there will be no casualty). These words had warmed my wet body and wearied soul for actually I came to bury my sister this very day- and not to roam around in the flooded streets of Bulan, an experience I never had for the last decades. Bulaneños still care for Bulaneños is the insight I have learned in my short exchange of words with Mr. Luis De Castro, Jr. I also somehow felt rewarded in return for the indignation and caring that I felt when as a young boy our then mayor Mr. Luis de Castro, Sr. met his tragic end. I think this inter-connectedness-in some-ways- in -a -deeper -level is the essence of being one people. Our Kudos then to our competent young leaders who can practically manage the town on their own and who are present not only in peaceful and joyful times but in times of great calamities that even reached international news reports. Born good leaders seem to be always at the right place and time and are there when the whole town is in distress and when the padabas need them the most. I violated my argument that if pictures speak louder than words, then let them be, which means words are unnecessary. My defense is that I cannot photograph my thoughts and feelings so again, I used words to convey them in this short tribute to our leaders. Municipal Adninistrator Luis De Castro, jr. instructing his men. The silhoutte of Vice -mayor Gogola (middle figure) as he inspects the evacuees in Bulan South Central School. Some of the rescue men having their briefing. One of the rubber rescue boats. Hold on tight, children! The water is wall-high. Clearing the waters from dangerous objects. Young boys on the look out, ready to help. These are some of images of Bulaneños’ fight for survival on that stormy days. It was unusually cold in this particular winter night. The temperature tonight dropped down to – 17 degrees. I went out to get some firewood at the backyard and it was freezing cold. I live alone and no one is there to help me haul a few logs of firewood for the fireplace. My little Chihuahua dog was shivering from cold and stayed inside the house. I was a little bit scared going outside in the dark by myself getting the firewood. It was in this situation that I thought of getting a big dog for companion and as a guard dog. Today I went to the dog pound and look for a big dog that I can adopt. I want to adopt a German shepherd but this German shepherd I was looking at was noisy and continuously barking and wants to bite me, on the other hand, there was this Samoyed white dog looking at me and was very quiet. He was looking at me with a sad look in his eyes as if telling me to adopt him. I went ahead and adopted this gentle white dog and took him home after paying a fee and getting his shots. I named him George. George and I had been inseparable since then. When I watch TV, George watch the TV too. Everywhere I go, George went with me. One day, I decided to go to see my little (Ranchito) orchards up in the mountain. I planted a lot of fruit trees like peaches, nectarines, plums, cherries and pears. The trees started to have tiny buds of fruit and need some clearing of grass around the trees. I was so engrossed with what I was doing that it was already dark. George, my dog, sat right in front of me to protect me from anybody who was foolish enough to approach us. When my son finally arrived to pick me up, George gave a big growl and was ready to attack my son and if he didn’t identify himself early enough, he could have been bitten. Samoyed dog are normally gentle, happy- go-lucky dog. That’s how protective this dog is. I did a research about my Samoyed dog and this is what I found. The Samoyed derives its name from the Samoyedic people from Siberia. Samoyed dog is an all-white dog with a fluffy coat, upturned tail, and a characteristic smile. They were breed by a group of nomadic Samoyed people for herding and hunting deer. They were also use for pulling heavy carts and sleds. It is rare to find a Samoyed dog, aggressive, angry, and irritable. In 1889, they were brought to Europe for breeding but they mostly use for sole companion. They are very loyal and very friendly breed of dogs. I am very lucky to have my dog George with me. One summer morning, I woke up feeling very sick and unable to get up. I was so sick that I can not even stand up. I called my son to come and see me. He lives about 30 miles from my house. Meanwhile, my little Chihuahua Lucie and George suddenly got on top of my bed and surrounded me. They normally don’t do this. I never allowed them on my bed, but this time, I think they can sense that there is something wrong with me. My son and the paramedics arrived and were trying to get me into the gurney, my two dogs were growling and refused to leave me. My son literally has to bodily take George and Lucie from me. I can sense that George was panicking and don’t want to leave me until I assured him that everything will be alright. I was confined in the hospital for five days. My son went back to my house to put some dog food and water for my dogs. Three days later, when my son went back to check my dogs and my house, the dog food was not touch. My dogs were very depressed and were not eating. I never realized how much dogs can love their master. I talked to my dog’s veterinarian and I was told that dogs can get depressed. I finally got better and went home after a few days. My dogs were very happy and I was very happy too. They started to eat and play again. Our lives went back to normal. I go to work early in the morning somehow, my dogs know exactly my time of arrival. They were all waiting and looking out the window. I can hear their happy barking. It’s a wonderful feeling to see these two dogs eagerly waiting for me. I had been working for the past many, many years and had been supporting my relatives in the Philippines and my other charitable projects. I thought, I will spend a part of my life for myself and my dogs. It’s been my dream to travel and explore the 50 states of USA but never had the time or money to do it. I was busy raising my three children, helping my folks in the Philippines and my other projects. My children are now grown-ups and on their own. I have this charity project that I am happy to maintain and support that keeps me going too. I finally got the courage to realize my dream. I bought this 30 ft. motorhome big enough for my dogs and me. It has two separate beds in the back room, one for me and one for George and lucie. It has dining room with adjacent kitchen complete with microwave, oven, stove and a nice double sink, plenty of storage cupboard and it also has a refrigerator, a separate shower and a bathroom. It is like a self-contained home away from home. I gathered all the fishing gears, my late husband had accumulated for many years, cleaned them, bought some more baits and a big tackle box. Now I’m ready to go fishing. I went to the grocery to shop for non-perishable food and dog food. My children gave me a GPS system to help me find my way around. I am very poor in directions, it is pathetic. My children were worried for me to be traveling alone in this motorhome. Well, to relieved their worry, I bought this life size used manikin ,dressed it with a man’s clothes and put on an old man’s boots, complete with cowboy hat and sat it on the passenger side of the motorhome. See, I have a companion! They were all laughing. But you know what, it looks so real. We went out on our first fishing trip in the motorhome. My dogs and I went to Gaviota, a seaside city park where they allow fishing where we stayed overnight. My dogs were restless and were vigilant. Every little noise, they bark and go to my bed and try to wake me up. It was an all night activity. I didn’t get enough sleep neither my dogs. But, after I had my first cup of freshly brewed black coffee, I realized that my dogs did a very good job of guarding the motorhome and me. Well, this is what I can say about dogs in general. Whether the dog is pure breed, half mixed, native, or any kind of breed, dogs are generally very loyal animals. If properly trained and given a loving care, these dogs can give you back a thousand times more of love, loyalty and ready to be on the frontline for you. There were some instances that when a person was angry, he/she goes home and kick the dog instead. Please don’t do that. Kick the brick wall or a trunk of a tree to express you anger or frustration, not the dog. Dogs are precious like my dogs, Georgie Boy and Lucie. That is why there is this saying “Dogs are Man’s Best Friend” and it proved to be very true. Maybe, some of you can share wonderful dog stories, too.